Membership in the Frontier Airlines, Inc. (“Frontier”) Discount Den Discount Fare Club (“Discount Den”) is conditioned on acceptance by you of the terms and conditions contained herein (the "Agreement"). By purchasing a membership to Discount Den or using or continuing to use the benefits of Discount Den, the Member is deemed to have agreed to all such terms and conditions of the Agreement. Frontier’s general terms and conditions also apply Ticket Terms and Conditions. The Initial Membership Price for Membership in Discount Den℠ is $59.99. The Membership Renewal Price for Membership is $59.99. 1.2. You must provide and maintain accurate and true personal information when applying for Discount Den Membership or using any Discount Den benefits. Failure to do so may invalidate membership in Discount Den and any subsequent fare purchase, at Frontier's sole discretion. It is your responsibility to update personal information via the Site within your FRONTIER Miles Account Profile through the Account Profile page. 1.3. You may cancel your Membership in Discount Den at any time by selecting the unsubscribe option within your FRONTIER Miles account profile on the Site. Go to flyfrontier.com, click on the “account sign in” link, and log in to your account. Then click on your name on the upper right hand of the page, and click on “My Profile.” Your Discount Den status and ability to cancel are on this page. 1.4. Membership in Discount Den is non-transferable. Only you may use the benefits of Membership in Discount Den. You must promptly notify Frontier upon becoming aware of any unauthorized use of Discount Den Membership. 2.1. You will have access to book special fares on Frontier that are not available to non-Members. Membership in Discount Den does not guarantee availability of special fares. 2.2. All promotions, fares, and any other special offers whether through Frontier or any of its partners/affiliates are subject to the terms and conditions specifically pertaining to that offer. 2.3. You must always be the customer purchasing a special fare and you must be one of the passengers traveling on the special fare. 2.4. You may not purchase tickets for resale. 2.5. Changes to your ticketed itinerary will be processed subject to the Terms and Conditions of an Economy fare, including, without limitation, with the current change fee(s) in effect plus any difference in airfare for the alternate requested date(s) or flight(s). 3.1. Upon Membership, you will be charged an Initial Membership Price, the value of which is listed above. 3.2. Charges of the Initial Membership Price are non-refundable. 3.3. The credit card you use for your Initial Membership Price will be stored as the default credit card in the “Wallet” section of your Account Profile. 4.1. Frontier reserves the right to cancel, extend, or suspend Membership at its sole discretion for any reason. 4.3. Recurring Membership is effective for a period of one year following the renewal date in each succeeding year. Charges of the Renewal Price are non-refundable. 4.4. The Renewal Price will be assessed to the credit card on file as the default credit card in the “Wallet” section of your Account Profile. If the credit card on file as the default credit card does not process successfully, Frontier may assess the Renewal Price to any other credit card stored in the “Wallet” section of your Account Profile. 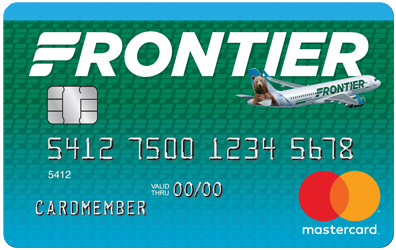 Frontier may, without prior notice, update your credit card information via automatic account or billing updater programs offered by authorized third parties. Updated credit card information may include cancellation, changes to credit card numbers, or expiration. Frontier has no obligation to update your credit card information. Credit cards issued by certain banks may not be eligible for updating; you may determine your eligibility by contacting your credit card issuer. The only way to withdraw your consent to the use of a credit card updating service is by cancelling your Membership in the Discount Den program as described above, which will also cause you to lose your Discount Den benefits. 4.6. The Renewal Price is subject to change by Frontier at any time without notice. Any increase in the Renewal Fee will take effect upon the following year’s renewal. 5.1. Frontier accepts no liability for any losses or claims arising from any inability to access the Site or any failure to complete a transaction. 5.2. Frontier shall not be liable to you or any other party or be deemed to be in breach of this Agreement by reason of any delay in performing, or any failure to perform, any of Frontier's obligations, if the delay or failure was due to any cause beyond Frontier's reasonable control. 5.3. Frontier will not be responsible for lost, misdirected, bounced, or late delivery of sale information delivered via email. 5.4. Under no circumstances shall Frontier's liability exceed your current Membership fee and under no circumstances shall Frontier be liable for your incidental or consequential damages. 5.5. This section applies only to the extent permitted by law. 6.1. Frontier may modify these terms and conditions at any time without notice. 6.2. By agreeing to these terms and conditions, you are agreeing to receive Discount Den emails sent from Frontier. If you cancel your Membership in Discount Den, this may stop all Discount Den emails from being sent to you. Following the instructions included on any email to unsubscribe from that email is the only way to unsubscribe from emails. 6.3. This Agreement and the terms of Membership shall be governed and construed in accordance with the laws of the State of Colorado without giving effect to the choice of law provisions thereof. Any dispute arising between you and Frontier will be resolved by submission to arbitration in Denver County, State of Colorado in accordance with the rules of the American Arbitration Association then in effect. Notwithstanding the foregoing, nothing in this Agreement is intended or shall be construed to negate or otherwise affect the consumer protection laws of the state in which you reside. 6.4. These Terms and Conditions and any other terms referenced herein, shall constitute the entire agreement between you and Frontier with respect to Discount Den. 6.5. Any rights not expressly granted herein are reserved.